Unlike earlier diving, which relied either on breath-hold or on air pumped from the surface, scuba divers carry their own source of breathing gas, (usually compressed air), allowing them greater freedom of movement than with an air line. Both surface supplied and scuba diving allow divers to stay underwater significantly longer than with breath-holding techniques as used in free-diving. A scuba diver usually moves around underwater by using swimfins attached to the feet, but external propulsion can be provided by a diver propulsion vehicle, or a sled pulled from the surface. For every personality there is a perfect scuba destination. But with 70 percent of the globe consisting of water, and thousands of scuba destinations around the world, even the pickiest travelers will have trouble narrowing it down. So put aside your nautical maps and read on, because we've assembled an expert panel of underwater adventurers to identify the 10 best scuba spots in the world. The nature of the dive site's waters are what the panel took into consideration when choosing the top 10. While accommodations are important, for the serious diver, where you spend your time on land is hardly a factor in picking a site. There are certain base conditions that will guarantee a great dive site. “Vertical walls in deep, pollution-free water give divers face-to-face encounters with pelagic species … upwelling off points adds a rich food supply so these are where you will find [thriving marine life],” explains Jack Jackson, underwater photographer and author of dozens of books on diving. This archipelago of 21 volcanic islands and islets is a tranquil, off-the-beaten-path dive spot lying 200 miles off the coast of Brazil. Calm waters, a rich variety of marine life and a host of well-preserved shipwrecks, including the Brazilian Navy Ipiranga Corvette V17, make it one of the best places to scuba in South America – so it was an easy choice for our top spot. Once underwater, divers enjoy crystal-clear waters with visibility of up to an impressive 45 metres, perfect for spotting dolphins, turtles, stingrays and coloured tropical fish. The water’s chilly, but the experience is notable. Tobermory crowns the tip of Ontario’s Bruce Peninsula, at the confluence of pure, icy cold Georgian Bay and Lake Huron. Explore an area where submerged forests, canyons and the remains of ancient coral in this once tropical sea. Watch the modern inhabitants, crawfish, bass and sculpin as they go about their daily business. For the diving enthusiast, the remains of over 20 historical shipwrecks also lie beneath these clear, cold waters. Once a secret gem for divers in Australia and the South Pacific at large, Papua New Guinea is now fair game as a prime scuba destination. The area has it all. No matter what your taste, from deep drops and shallow reefs, private lagoons and atolls and perhaps best of all, pristine wrecks – a contradiction but nonetheless – that harken back to World War II. Diving in PNG offers everything, from Pygmy Seahorses, sharks, and occasional Orca’s. Amidst the reefs and schools of fish one encounters numerous wrecks, a reminder of the violence and struggle in which P.N.G. participated during the tragic days of WWII. Wrecks of ships and planes the afore machines of destruction now overgrown with corals rest at the bottom of the ocean floor and are home to many sea dwellers, presenting a display of serenity and colour. Morehead City Scuba Diving, North Carolina, U.S.A. The coastal areas of North Carolina are becoming a popular vacation destination and recreation area. The “Graveyard of the Atlantic” has become North America’s hottest wreck-diving destination. In the early days of World War II, U-boats had a field day, littering the ocean floor with merchant ships. In summer, the warm, clear Gulf Stream infuses the wrecks with an abundance of tropical and game fish. The greatest feature of scuba diving in Bali is the rich and varied sites – deep drop-offs and steep banks, coral ridges and bommies, one of the most famous wrecks in the world, volcanic outcrops and seagrass beds. With the colourful and diverse marine life, From hairy frogfish, cockatoo leaf fish and pygmy seahorses in Secret Bay and Menjangan on the north west tip of the island, to bumphead parrotfish and reef sharks in the north and east at Tulamben and Candi Dasa, to the sunfish and trevallies of nearby Nusa Penida and Lembongan islands, the Bali sights are truly fascinating. The Bali dive season runs all year round. Overall, the best diving conditions exist from April to December, with sunfish, sharks and other pelagic fish visiting from June to September. Massive schools of fish, an amazing array of marine life and an ideal water temperature throughout the year, has meant that scuba diving conditions in Costa Rica are near perfect. The reef here is home to over 123 species of fish, 140 species of mollusk, and 35 species of coral. Although a recent player on the scuba scene, at least in terms of mainstream awareness, the recreation and indeed, tourism in general in Costa Rica, has undergone explosive growth. It stems from the government’s superb efforts to galvanize ecotourism in the country, which by all accounts is one of the most diverse in the world. Thus, it makes perfect sense to venture here for memorable scuba. Made of limestone coral reefs lifted above sea level, from the air they look like giant mushrooms, the Republic of Palau, in Micronesia, is truly nature at its most majestic. 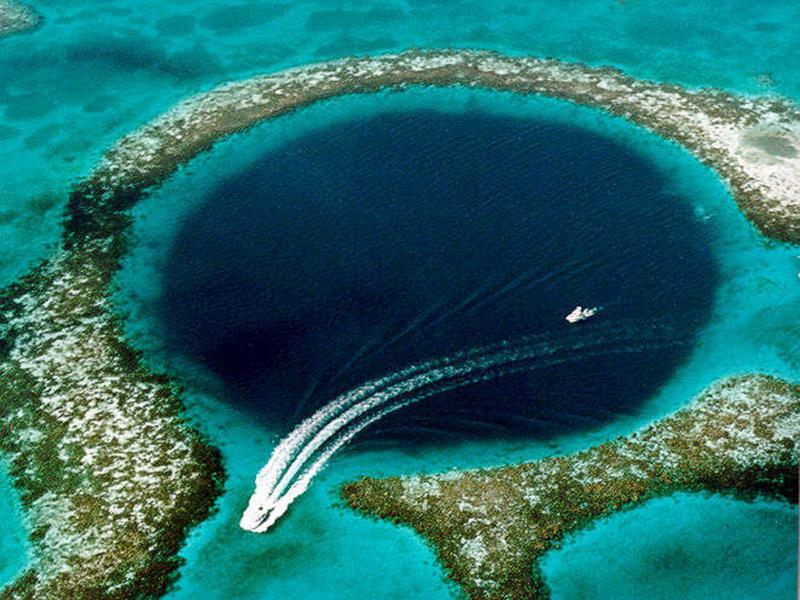 Dives begin in knee deep water and plunge straight down to depths of 1000 feet and more. Blue holes, huge caverns and an immense variety of rare and exotic marine species are easily accessible in clear water with visibility exceeding 200 feet. Vast numbers, not found anywhere else in the world, of large pelagic predators, sharks, turtles, dolphins and many species of migratory fish gather here at a unique crossroads of three of the world’s major ocean currents. Palau features land locked marine lakes, accessible from the sea through tunnels beneath the island’s steep shorelines, are home to rare jelly fish, anemones and soft corals. Palau’s famed “Rock Islands” are a collection of rounded, foliage-covered isles which seem to float above the surface of the water. A boat trip through them will reveal a number of magnificent white sand beach hideaways perfect for a secluded picnic or adventurous overnight stay. Throughout Micronesia divers can encounter an abundance of marine life in just about every imaginable colour and shape. The seas are inhabited by hundreds of types of hard and soft corals, anemones, colourful sponges, countless varieties of shellfish, manta rays and pelagics. It is common to see 30 – 50 grey reef and whitetip sharks, eagle rays, hundreds of schooling barracuda, thousands of blue trigger fish, moray eels, lion fish, schooling humphead parrotfish, nudibranchs, several turtles and a leaf fish all on one dive. Tread in the footsteps of Charles Darwin and indeed, the evolution of life on Earth, as you explore a place that enthralls like no other. The Galapagos Islands, under the domain of Ecuador, are much more than a hub of scientific discovery.Divers can mingle freely underwater with tortoises, penguins and a host of other wildlife. Bonaire Scuba Diving, Netherlands Antilles. Diving on Bonaire is a shore thing: Just rent a four-wheel-drive vehicle and head out on the island’s bumpy roads to any of 50-plus yellow dive markers. Whether you suit up with tanks or just take out the snorkel, you’ll appreciate the healthy reefs of the 20-year-old marine park, one of the first and finest in the world. Noted by dive enthusiasts around the world as a spectacular dive destination, scuba diving and snorkeling are the central activity for most visitors to Bonaire. Bonaire is a leader in Caribbean marine conservation, and the water’s off of the island’s surrounding coast have been declared a marine park. Dive conditions around Bonaire are ideal-with moderate temperatures and high visibility. Most reefs remain pristine and untouched, and Bonaire’s location in the arid southern Caribbean keeps the water free of silt.